Cultures. Traditions. Skin tones. Religions. Diversity. Mercy is filled with young women of many different backgrounds.These differences are largely what makes Mercy so special. Each girl contributes her diverse background to the Mercy community. Freshmen counselor and link crew coordinator Mrs. Trish Brown coordinates a diversity retreat every year for freshmen to promote this message. This is the fifth year the diversity retreat has been held at Mercy. Mrs. Brown, science teacher Mrs. Sara McGavin and the 2018-2019 Link Leaders led the freshmen in the retreat in October to celebrate one another’s differences. The diversity retreat is an afternoon experience for freshmen to have conversations with their classmates and link leaders about who they are and their background. It is so these girls can listen to one another and practice accepting each person’s unique story. “It is important for us to accept all of those pieces of who we are as Mercy sisters rather than letting our differences divide us by assuming things about each other,” said Mrs. Brown. “We’re trying to break that wall down and really learn about each other and let that bring us closer together. 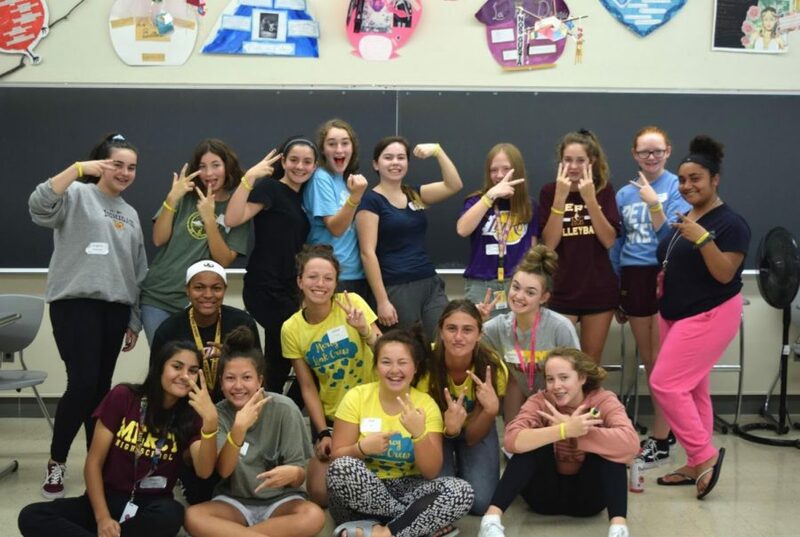 “This retreat allows for the link leaders to lead the freshmen in a really positive direction around something that is hard to talk about,” she added.